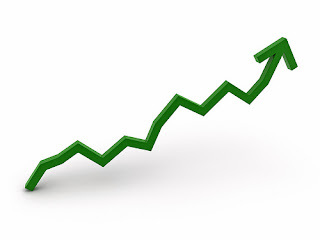 Again we saw many milestones in 2013...but the underlying theme across our area was growth. First and foremost our members grew their business. Our region also grew, not taking into account the addition of Eastern, SD and NW IA. And last but not least we grew our event calendar. We had another great golf outing thanks to the BNI Tuesday at the Top Chapter and specifically Brian Hoffart, that benefited Mourning Hope with over $4,500, and a 5-year total of over $20,000. In August we saw our region's footprint grow once again when we added Eastern SD, and NW IA, increasing our membership by 1/3. Also in August we held our first Advanced Member Success Program Training, and brought in Tim Roberts to kick it off in style. We closed our year with our third BNI Heartland Annual Awards, and first in Lincoln, which was well represented by over two-thirds of our chapters. Also, from an International perspective, for the first time, in the history of BNI, numbers are being released based on actual reported numbers relating to the value of referrals from members. For 2013, we are able to report the value based on actual numbers reported in BNI Connect for the amount of business generated. Previous years were based on formulas developed by two doctoral dissertations (Ivan's and a BNI member from Florida). We are pleased to announce that our formulas were conservative and the amount of business reported by members was substantially higher. Based on what members reported in BNI Connect, the organization passed 5.4 million referrals that generated $6.5 billion worth of business for our members in 2013!!! !